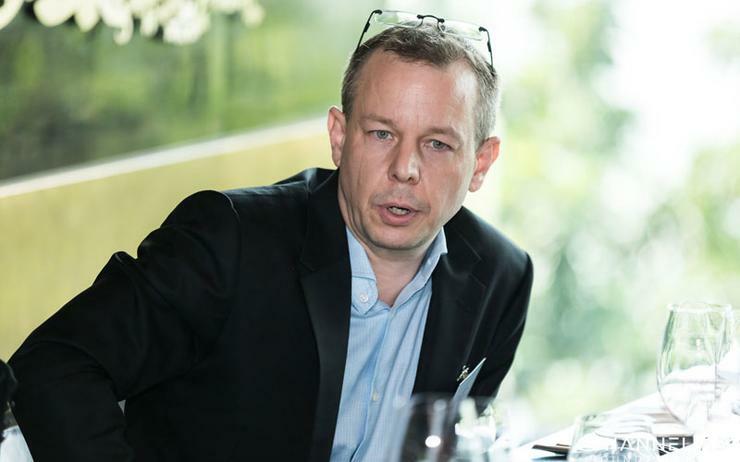 Cloud Comrade, recently acquired by ST Telemedia, has outlined ambitious goals for 2019, as regional competition heats up, especially in high-growth markets such as Indonesia. “Cloud Comrade’s key priorities for 2019 include an increasing focus on enterprise workload migrations such as SAP,” said Andy Waroma, founder of Cloud Comrade and 11-year veteran at SAP, when speaking exclusively to Channel Asia. “Other priorities include increasing investments into regional expansion across Southeast Asia and a focus on industries with a high degree of compliance such as financial services and the public sector. Security in cloud is becoming ever more important to our customers." Waroma sees continued market expansion in 2019 for the provider, including increased cloud adoption in Singapore’s neighbouring countries, Malaysia and Indonesia. “Indonesia, especially, is showing rapid cloud adoption potential,” said Waroma. “We already have a large team in Indonesia that we are planning to grow by more than 100 per cent in 2019. "That will make us one of the largest born-in-the-cloud services providers in Indonesia. In Singapore, we focus on specialty migrations such as SAP, and mass migrations in compliance-focused industries such as FSI and the public sector." However, it will not be all smooth sailing, as Waroma acknowledged specific industry-wide challenges impacting the channel in 2019, including a shortage of talent, understanding industry-specific regulatory requirements, constantly increasing cloud platform provider offerings and growing project sizes. “On the senior management level, it is about digital transformation,” said Waroma. “Perhaps the easiest way of doing digital transformation is to adopt cloud technologies, be it SaaS, PaaS or IaaS. “Our company’s focus is on IaaS, and we often come in as a result of a digital transformation study. However, finding the right talent and resources for these projects is a challenge. "There is a skills shortage in the market which means that it will be increasingly difficult to find the right people to execute on the digital transformation roadmaps." As an 11-year veteran of SAP, Waroma has the experience to see time and again what makes a successful technology provider, and in his view its "specialisation, focus and customer service". However, for Waroma, with the introduction of new technologies and processes, the market and the projects being offered to them are becoming increasingly complex. On the flipside, however, with the introduction of new regulations and governmental support, particularly in Singapore, the industry has grown rapidly as more public sector entities adopt the latest cloud technology. For customers, Waroma sees two key investment priorities, namely, security and compliance. “Customers are also becoming more sophisticated in terms of deployment models such as DevOps and using container technologies like Kubernetes,” said Waroma. Specific to Cloud Comrade, said Waroma, “technology supports the underlying business processes,” referring to how he sees technology impacting his customer's business strategy. “When customers change or enhance their strategies they need to adapt their business processes,” said Waroma. “This requires changes or improvements in technologies that our customers use. The fastest and most cost efficient way to do us in the cloud." For the channel in Asia, Waroma sees a definite consolidation of partners within the market, resulting in fewer but larger providers. This is an evolving process and will likely continue in 2019 and beyond. “Outsourced automation combined with human oversight, be it for infrastructure or security services is becoming increasingly attractive for all types of businesses,” said Waroma. Furthermore, vendors too, need to understand the common challenges impacting partners today. “A lot of cloud technology vendors are focused on one or two cloud platform providers,” said Waroma. “They need to understand that most large customers are looking at a minimum of three platforms. “Those vendors who can cater to a wide range of platforms have a good chance of being adopted by cloud managed service providers (MSPs),” added Waroma, and ultimately finding success in the market.